Why do the stars influence my life? What's a planet "doing" that it has such a profound impact on me? Any astrologer has heard these questions many times, and probably has asked himself the same question once and again. "Well, nobody knows exactly, but it works anyway" – these are the kind of answers you typically get. I will try to give a more precise answer. There are lots of findings around this question: today, we know pretty well why it does work. "It works anyway" still marks an important point. It relies on man's subjective knowledge that comes from personal experience, which is often difficult to describe and communicate. Not everyone can understand the experiences of others. And that is why it is so difficult to discuss these experiences in a scientific way. Science needs ways to communicate its findings that allow for intersubjective verifiability. In social science, empirical methods are used to alleviate the problem. As soon as you describe groups of people, statistics give you information that is independent from each individual experience. Michel and Françoise Gauquelin have pioneered this method for astrological research. They analyzed the Mars position of successful athletes and found that a position near a chart axis is significantly more probable than any other position. The individual athlete can still be different. Statistics allow for any member of a group to be very special: you can be a successful athlete – with Mars in the 2nd house. It is just not that probable, that's all. Every human being is unique, and statistics are silent about the individual. To find out what is going on in a single life, with due respect to all its miracles and wonders, the probabilities of statistics are of no use. There may be some hints, but in dealing with the improbable, statistics do not reveal anything about this one special case that is – against all odds – happening right now. Statistics do not tell you about meaning, and so we have to come back to where we started, to the individual, subjective experience. Let's see what it can tell us. We are ill prepared to deal with subjective experiences. In the past 200 years, when there was no immediate explanation at hand, science has mostly denied them. Objectivity was the big aim, heretics were thrown out. And in an objective world, there should be a causal explanation for everything. Modern physics stopped this dream. For example, in quantum physics, there is not much that can be explained using causal principles – the models employed here mostly rely on probabilities. Within certain conditions, anything is possible. And natural law as we know it becomes a special case, an oddity, far away from universal validity. We do not know much about the inner core of our world, and it is only by means of mathematics that we can create models describing parts of it. Our idea, our conception of an objective world does not mean anything under these circumstances. When we talk about man, and his spiritual core: the psyche, we are in similarly uncharted territory. Here too, it is difficult to be objective, and the psyche is far from following causal principles. It was the psychologist Carl Gustav Jung who made the decisive step. Watching some of his patients' experiences and dreams, that were not connected in any causal way, he found that they were nevertheless meaningfully related. This principle, that he called synchronicity, introduced a new dimension to the description of the psyche. It creates a space to incorporate many subjective experiences that were impossible to describe using an objective, causal model. One of these experiences is astrology. It goes back thousands of years and is well anchored in all of world's cultures. The basic event of astrology is experiencing "time". Watching the course of the planets makes you recognize an order of movement, rhythm and structure. Everything comes back, in regular intervals and different combinations. In these rhythms, the vernal equinox is the beginning and the end, the reference anchoring the whole system. This vernal equinox – the position of the Sun at the beginning of spring – was placed in the sign of Aries during the era of the Ancient Greeks. Today, it is about one sign before, in Pisces. Very early in history, astrology provides a measurement of time that is much more complex and versatile then today's system of hours, days and years. One revolution of a classical planet takes between a month and 28 years – enough to give structure and rhythm to a whole life. The planets Uranus, Neptune and Pluto, discovered during the last two centuries, introduced even longer cycles. We don't know much about time. We are familiar with time as a linear sequence, a one-dimensional road that has no crossroads. Since Einstein we have learned that time is relative, that it is part of a "time-space-continuum", and that mathematically, it can be described as the fourth dimension of reality. So time is much more than just the flow of things from yesterday into tomorrow. Here is one of the big strengths of astrology. It provides a measurement of time that is much finer than the current, linear models that we use every day. In astrology, time is cyclical and consists of many intertwined rhythms. That does not mean that time would repeat itself. Each cycle relies on what has been before and prepares what is needed for its successor. Astrology does not throw away the linear model, it adds new elements. That astrological symbols describe the quality of time is a synchronistic phenomenon. There is no reason for this, no causal explanation has ever been found. The rhythms of the planets describe the quality of time and have a meaning for human life, as our life belongs to time as well. In the core of time, all this is connected to each other, but we can only speculate about these things. In the core of time we meet the One, the Only, the Primal Unity, source and destiny of all being. One of the essential achievements of modern astrology is to have made conscious the connection between its classical symbols and the archetypes of the psyche. Again, the concept of the archetype has been formulated by Carl Gustav Jung. It describes parts of our psychic heritage: structures, images, base patterns of the psyche that are common to all of us. They exist independently from the individual, but manifest in each of us as psychic energy determining – more or less consciously – important parts of life. Archetypes tell stories about the fundamental things: Birth and Death, Father and Mother, Youth and Old Age, Me and You, One and Two. They are like channels containing the flow of individual life. The symbols of astrology tell about the same things. Planets and signs describe archetypes – and they already have done so before the concept of the psyche was invented in modern times. Astrological symbols, together with myths and fairy tales, belong to the oldest expressions of the archetypes that we know. The findings of modern psychology have given new momentum to astrology during the 20th century. Describing and explaining events in the outer world is no longer the only purpose of astrology; analyzing psychic energies and their inner and outer manifestations is the new focus of interpretation. 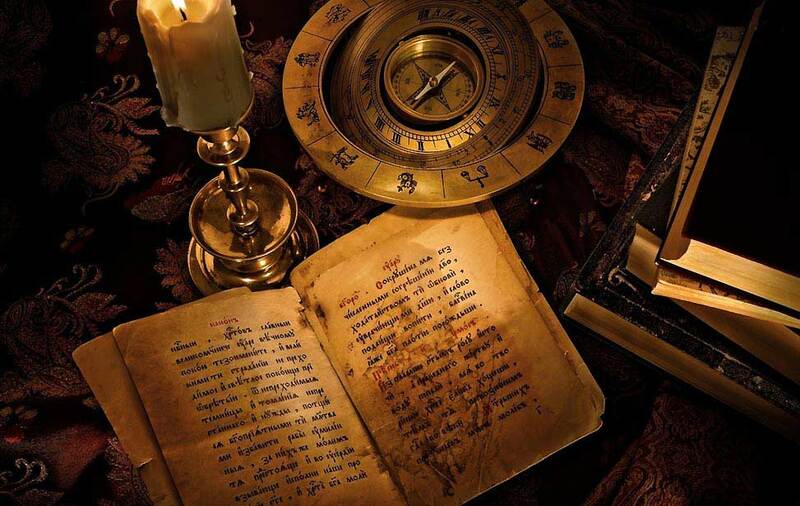 This new approach wiped off the dust of centuries, connected classical and modern knowledge and in the process, made astrology useable in modern times. Astrology is unthinkable without the number, which is an archetype itself. The number is the common ordering factor of psyche and matter, writes Jung's collaborator Marie-Louise von Franz. In both cases, the number describes their inner structure; psyche and matter have a common ordering principle, useable in both worlds. Man has always been fascinated by numbers, beyond the practical need for counting. The order of numbers is closely connected to philosophy; each religion has its central numbers, like the Christians' trinity. And in modern physics, there are lots of things we cannot really understand, but that we can compute. Astrology is based largely on the number's ordering principle. If two planets are opposite each other, this figure represents an event of "Twoness": the zodiac is parted into two halfs of 180 degrees each, with a planet at each end. If planets are square each other, they are 90 degrees apart: a division of the zodiac by four, or by "two times two". Square and opposition are based on the same principle, the principle of "Twoness" – that is why their meaning is closely related. There are four elements and three qualities. The zodiac is divided in three times four, i.e. twelve equal parts. The angular relationships (aspects) of the planets are examined as to whether they can be divided by two, three, five or seven, or by multiples thereof. The most powerful angular relationship of two planets is the conjunction: Unity, one. The interpretation of aspects in a chart is based on the number as an archetype, describing in this case a structural quality of time. The description is not causal – the position of the planets is not causing any change in time, and if time is "causing" the position of the planets, we do not know. It is all about synchronistic relations. It is meaningful that two planets form an aspect at exactly this moment, and the underlying number gives a hint to find out more about this meaning. The horoscope is a symbol of unity, of the wholeness of being: a mandala, as Jung himself often called it. It describes, in all its fullness, the moment for that it is cast. For human life, the first breath marks the beginning as an autonomous being. It is the personal anchor in time that is symbolic for the whole incarnation. The quality of time as described by the birth chart has a synchronistic relation to the newborn child. There is nothing causing birth actually to happen at this precise moment. But the fact that it is this particular moment and no other is meaningful. And we're trying to understand this meaning if we study the birth chart, its transits and progressions. So there are three pillars, upon which astrology is built: synchronicity, archetypes and number. Astrology is based on the meaningful, non-causal, synchronistic relationship between an event and the moment it occurs. The images of astrology are valid and universally understandable as they are expressions of the archetypes. But it needs the number, ordering all these images, to make the gestalt of the horoscope accessible for the human mind.